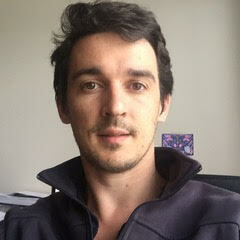 John LaFleur is a co-founder at Anaxi, a company reporting for software projects. He has over nine years leading product and marketing in B2C and developer markets. He co-founded three startups with two exits and was twice CEO, lastly at CodinGame. Access to developer talent is now more important to companies than access to capital! About 61 percent of executives consider this a potential threat to their business. This is pretty radical, so we decided to dive into this survey published last month. Every company has had to make the transition to online services. In doing so, they started to face a lot of new issues – security vulnerabilities, trade tariffs, complex government regulations, increased global competition, etc. And at the center of all of this is software. So how they deploy their developers just may become the single biggest factor impacting their future success. By 2020, the US Bureau of Labor estimates that there will be 1.4 million new developer job openings and only 400,000 computer science graduates to fill them, so you can understand that this shortage of competence becomes the biggest challenge for companies. This also explains why salary levels for engineers have grown so much lately, and will very probably continue to grow in the next few years. This survey doesn’t focus on the generally well-known challenge of talent recruiting, but rather how impactful software development efficiency is to the companies’ bottom line. If you have an organization of 1,000 developers whose efficiency is lowered 31.6 percent, it’s as if you had 316 less developers (well…theoretically)! No wonder developers spend 32 percent of their time working on reducing technical debt. While many people posit that lack of developers is the primary problem, this study – which surveyed thousands of C-level executives and developers across five different countries – found that businesses need to better leverage their existing software engineering talent if they want to move faster, build new products, and tap into new and emerging trends. 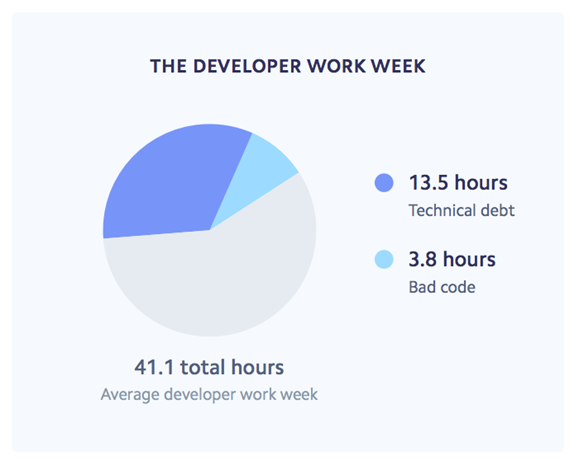 When you look at the average week of a developer, about 4 hours are spent on bad code and almost 14 hours on technical debt. That’s about 33 percent on technical debt and 9.2 percent on bad code: a total of 42.2 percent of their time not spent building new code! Now, let’s do some basic math. It’s estimated there are about 3.5 million developers in the United States. Developers earn an approximate average of $100,000 per year. In that case, the efficiency loss would amount to an equivalent of $150 billion in the U.S. So it’s easy to understand why engineering productivity becomes even more important than access to new talent. Let’s drill down a bit to see what this study means by efficiency loss. What Exactly Is Efficiency Loss? In this study, Stripe surveyed 1,000 developers to deep dive a bit more into the results. When asked about the reasons for efficiency loss, developers underlined three main ones: technical debt, poor prioritization and building custom technology (instead of buying third-party ones). This helps you understand how legacy and bad code can be part of the developers’ everyday life. No wonder developers spend 32 percent of their time working on reducing technical debt. One point the study didn’t mention is that if developers choose to build new code alongside bad or legacy code, this impacts their productivity, as the code becomes more complex than necessary. So the actual efficiency loss is even more pronounced. Senior executives are well aware of the issue and have therefore made it a company priority to increase the productivity of their developers. When you look at the top areas in which companies plan to invest more, the three first places are occupied by issues related to the developer challenge: software infrastructure and tech, R&D, and recruiting technical talent (only coming in third place). Marketing, sales and customer service come after that. Note that while 96 percent of executives agreed increasing developer productivity was important, only 43 percent voted for software infrastructure and tech. So you might wonder if everybody is really on the same page. And that’s where Stripe did a really good job out of their study by going even deeper and trying to see differences of opinion between the executives and developers surveyed. How Confident Are Developers about This? 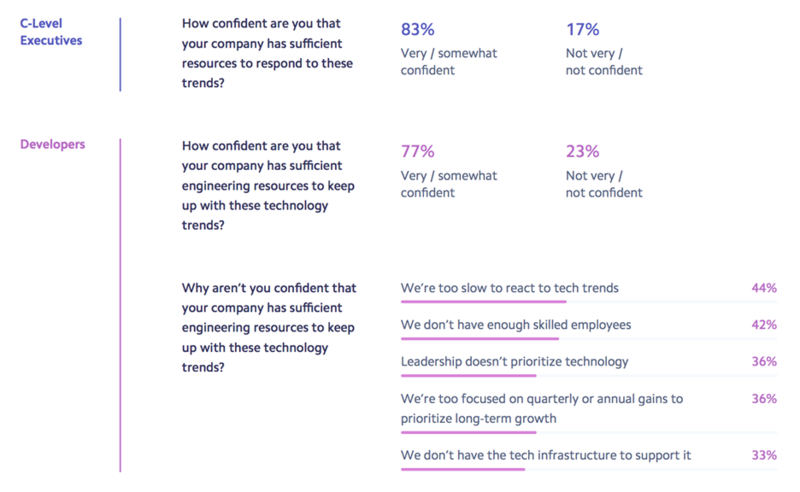 The same question was asked of executives and developers about how confident they felt that companies will have enough resources to deal with the challenges they face. Overall, the sentiment is positive, with 83% of executives and 77 percent of developers feeling positive. What is interesting is that when you ask the remaining 23 percent of developers why they are not confident about it, they will mention reasons like the slow adoption of tech trends or tools, the lack of competence within the company or the company focus on short-term gains. This means they don’t believe the upper management shares the same understanding they have of the issue. And that would explain why executives are, overall, a bit more confident about the future. Ignorance is bliss! The influence of developers within companies is growing. 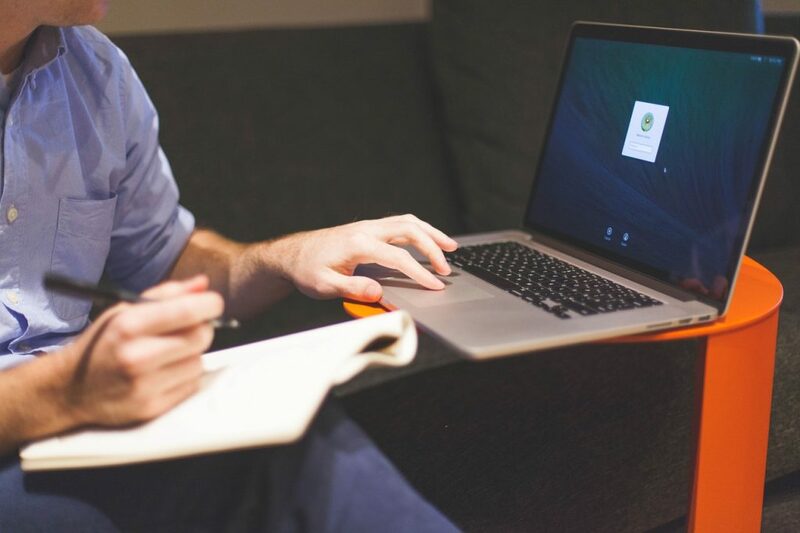 While the developers might not have the budget to purchase external tools or services, the executives highly value their productivity, and therefore are motivated to accommodate their requests. They don’t tend to go against the developers’ choice for any tool that would increase their productivity. This leads me to believe that it would be effective to use a bottom-up go-to-market strategy for any productivity tool, so developers can influence the final decision to buy a SaaS tool and reduce the sales cycle massively compared to a top-down approach. I think the takeaways from this survey are recognition that developers are a significant resource for most companies and this precious resource must be given every opportunity to be as productive as possible. Anything less could amount to failure of the overall business.